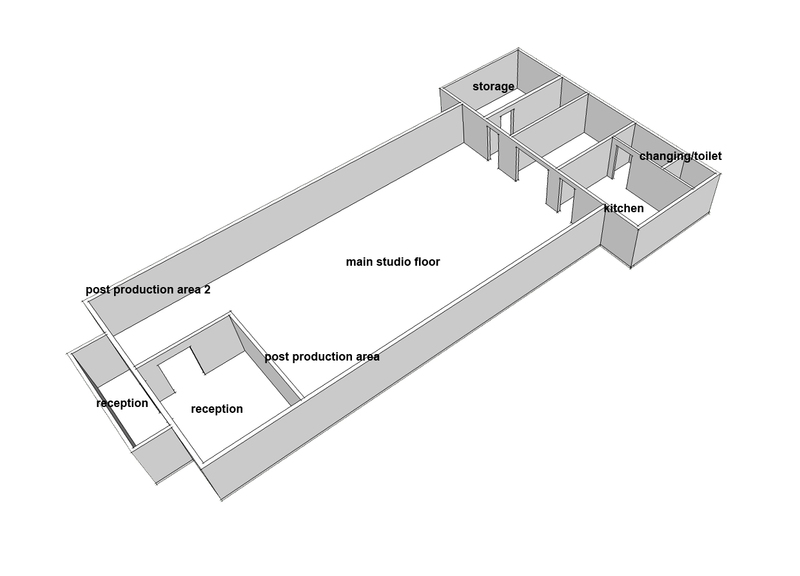 Studio One Ground Floor, invisible mannequin, product photography, post production suite, offices. 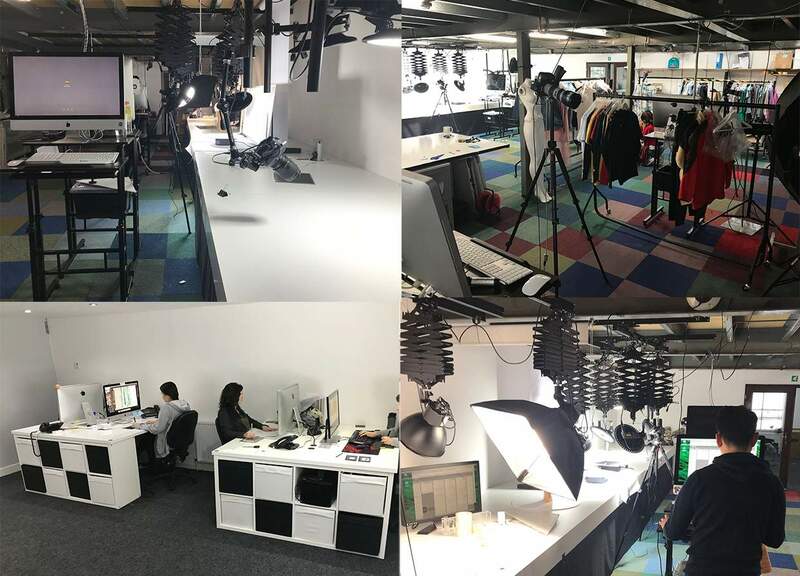 Post Production Suite,11 imacs, 2 dell workstations, Wacom Cintiq 21ux, Wacom Cintiq 24HD, multiple wacom tablets, internal ITserver, Qnas 8TB storage, thecus 14tb Nas, Studio including office, Flat photographic Rig, 360 rotation rig, 3 mannequin rigs, kitchen, changing room toilet. We shoot all our images tethered so they go directly to our large on site servers, this ensures no data loss and the ability to work on or view the images across our gigabyte network. We currently have 6 full frame canon cameras ranging from 5dmk2 to the 50meg 5ds, a vast array of lenses, we use DJI osmo and mavic for video as well as the DSLRs and gopro for behind the scenes. Set build capability, larger 360 rotation in our large infinity curve with pantograph's for lighting, we have a large range of lighting and modifiers. We take security very seriously and have HD CCTV systems throughout and external to the building, there is plenty of on-street parking and local supermarkets etc are all easily accessible.